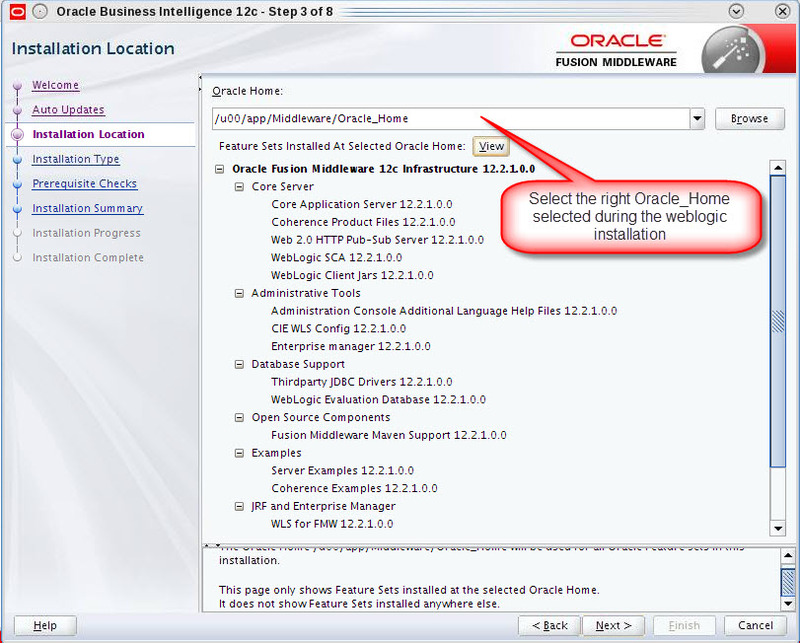 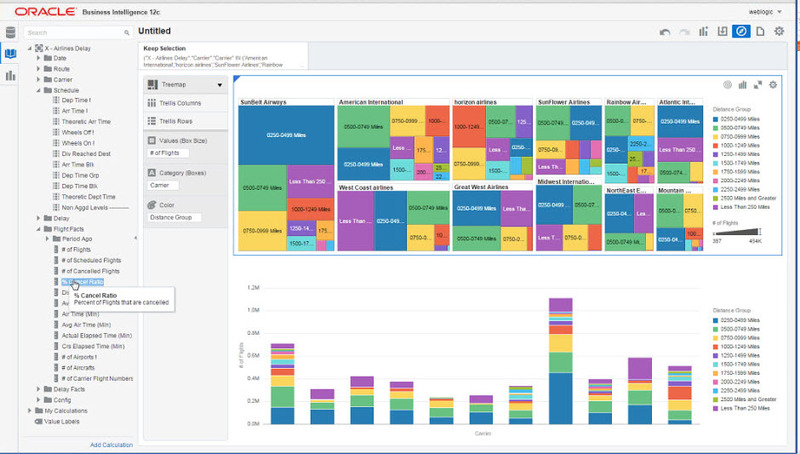 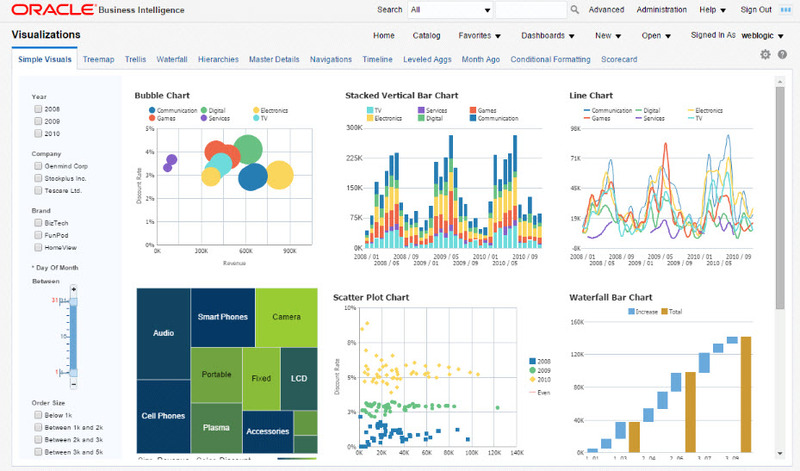 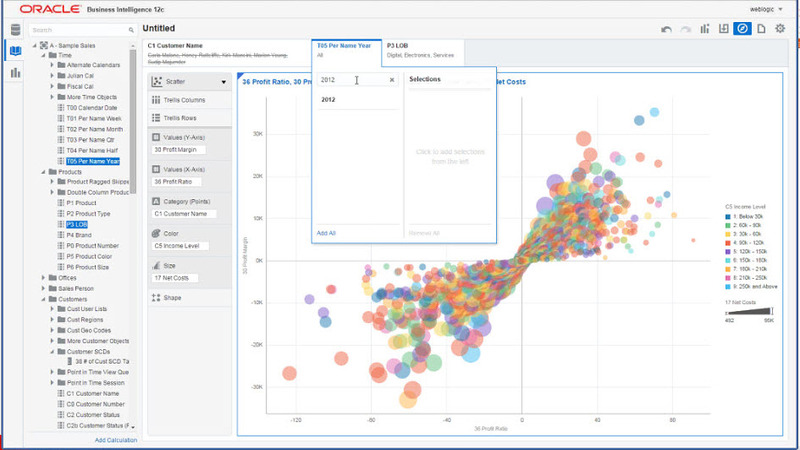 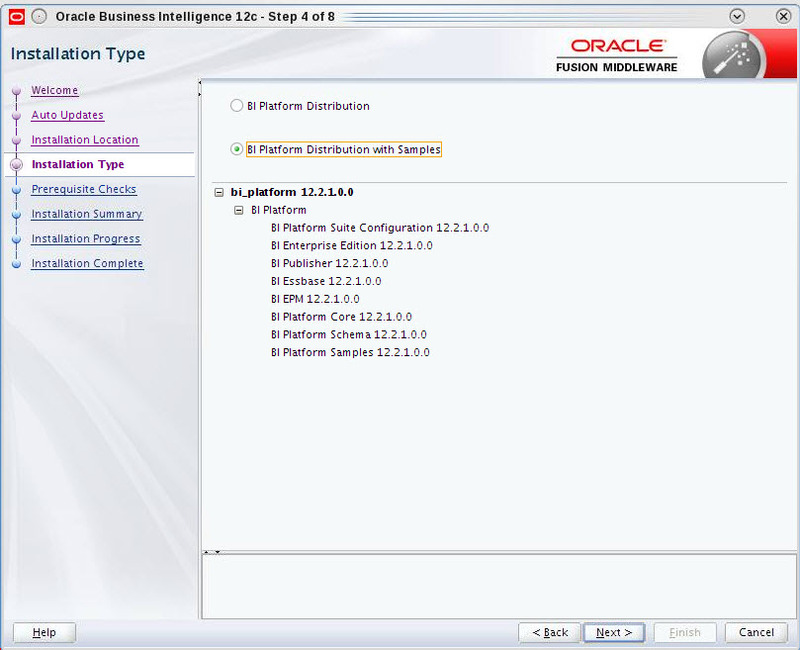 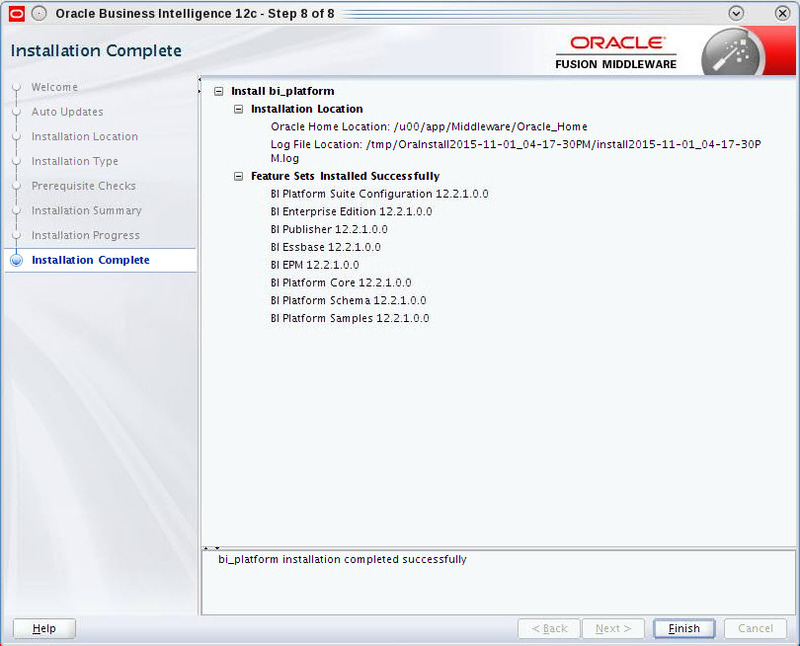 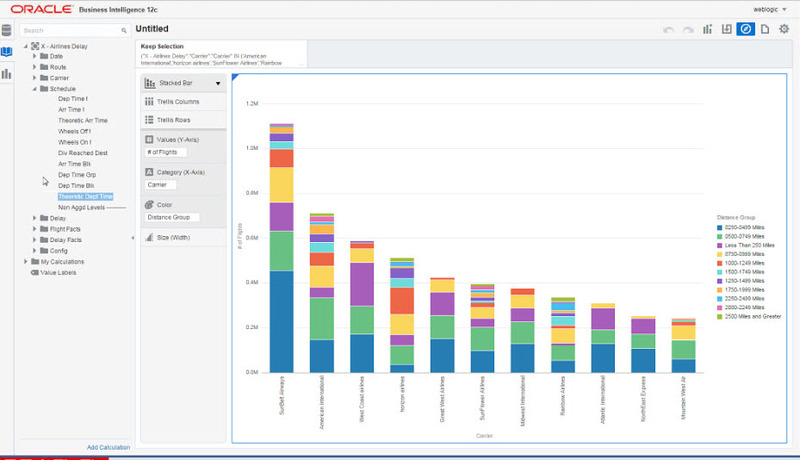 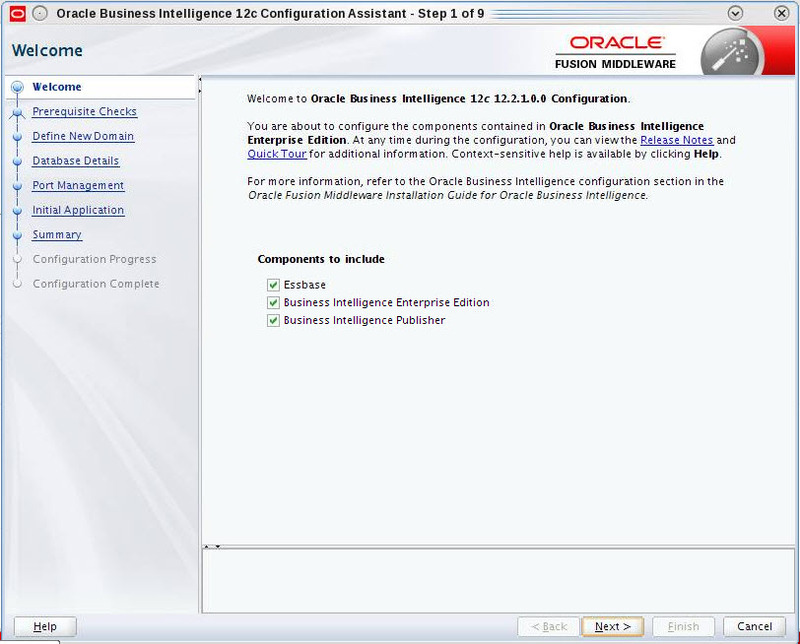 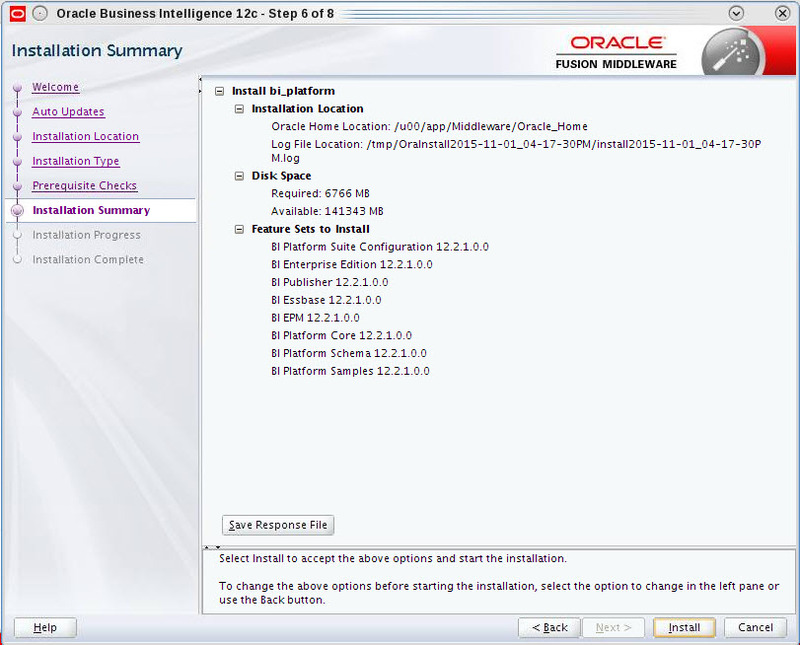 Oracle Business Intelligence Enterprise Edition 12c – OBIEE 12.2.1.0.0 released on OTN 26th Oct 2015. As soon as I get all the downloadable contents this is my first attempt to install the software. 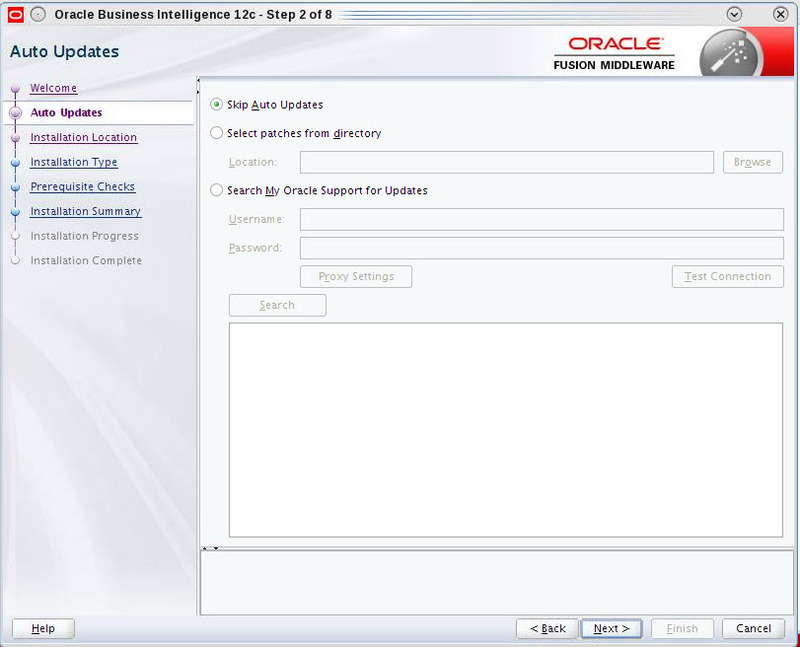 We know Oracle has made bunch of amendments / enhancements to 12c on top of very successful 11g release. 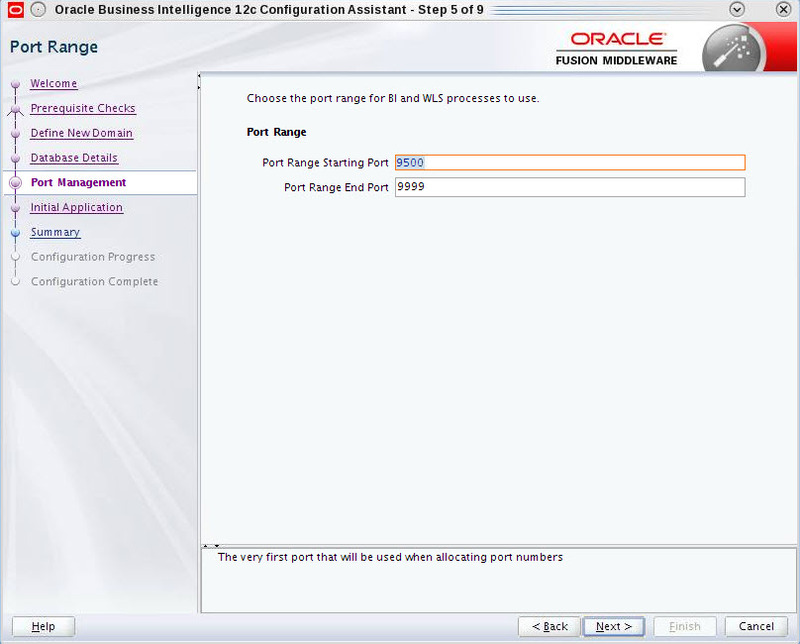 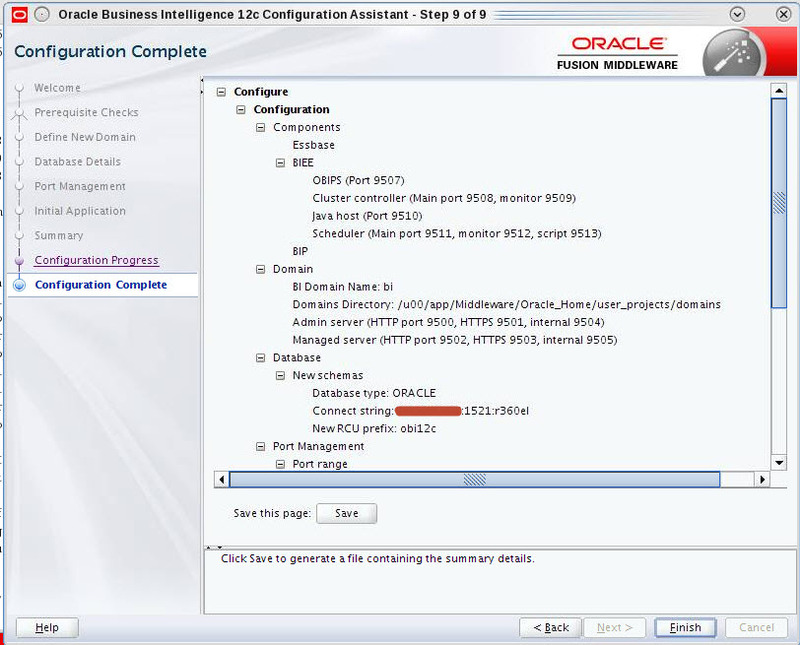 I am going to blog couple of new 12c features pretty soon in terms of UI as well as config changes. 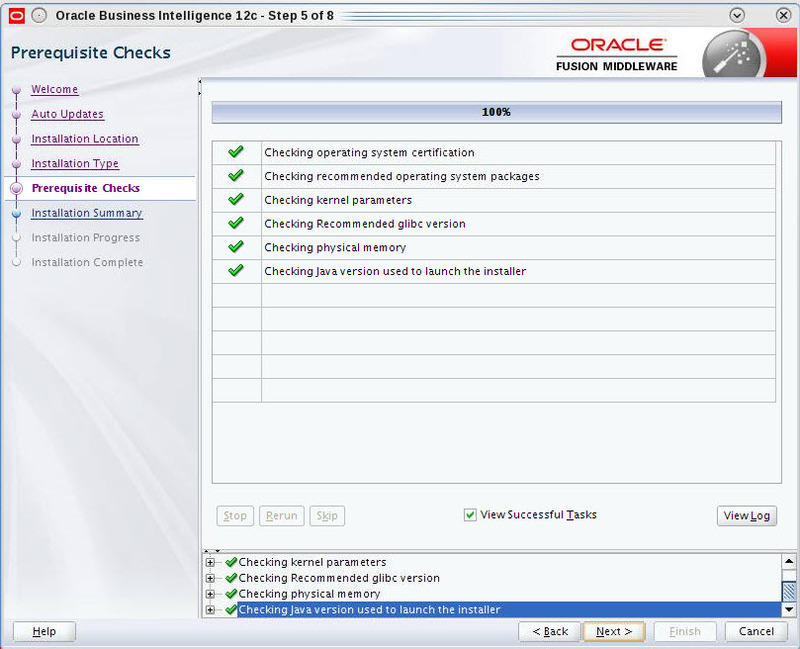 So lets first follow the step by step process to install the software(64 bit) in my Oracle Linux 6.0 OS . 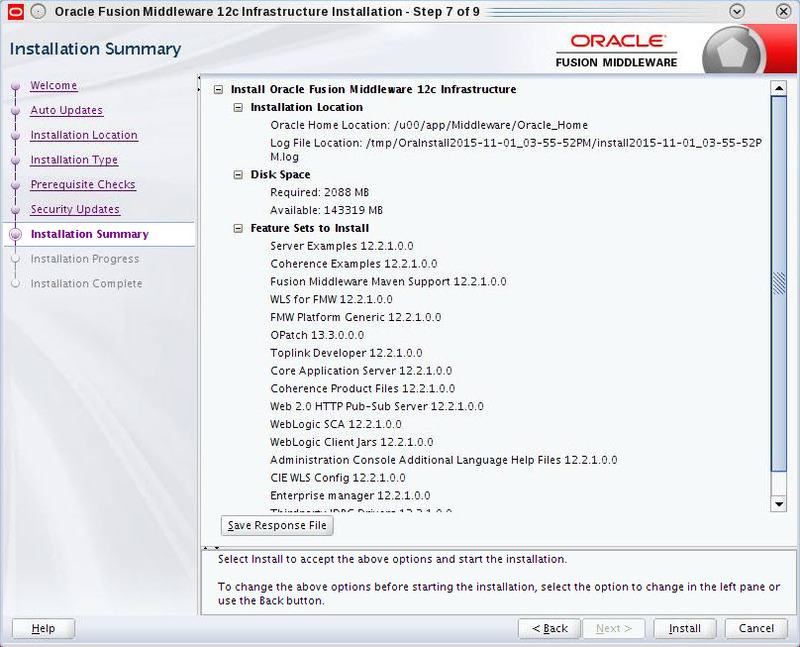 So you have to download and Install JDK first. 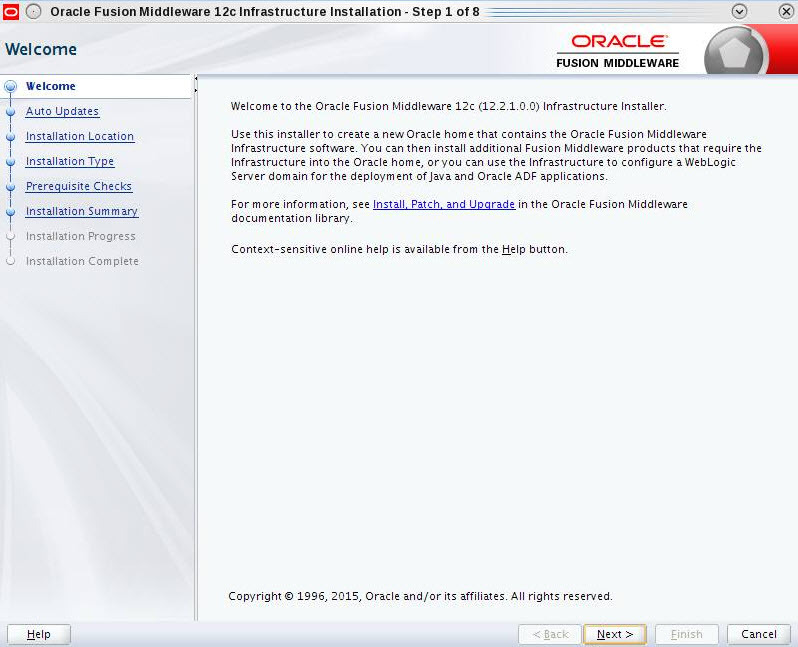 For me, I have downloaded jdk-8u66-linux-x64.rpm package. 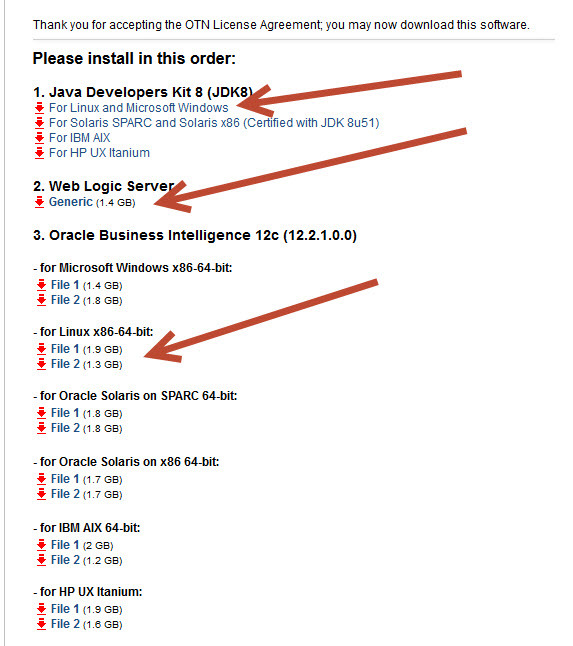 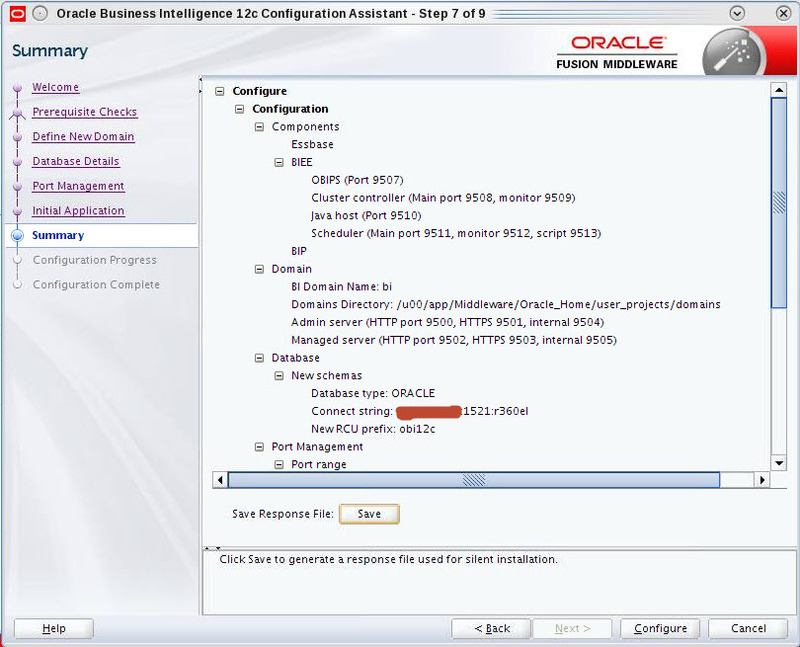 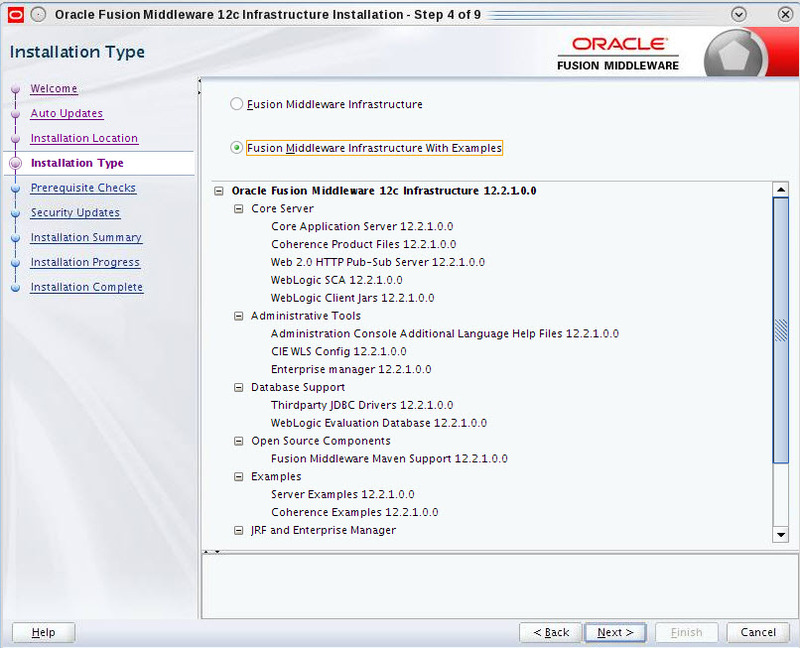 So it looks like First JDK , then Weblogic and then OBIEE main installer and no separate RCU required to be installed. 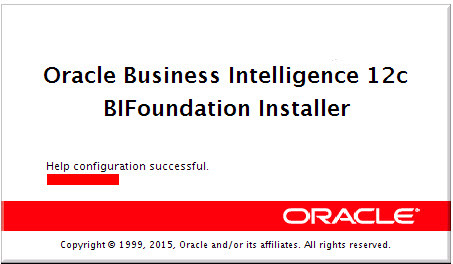 Also notice the files are little bit different with .jar for Weblogic Infrastructure and .bin for OBIEE installation. 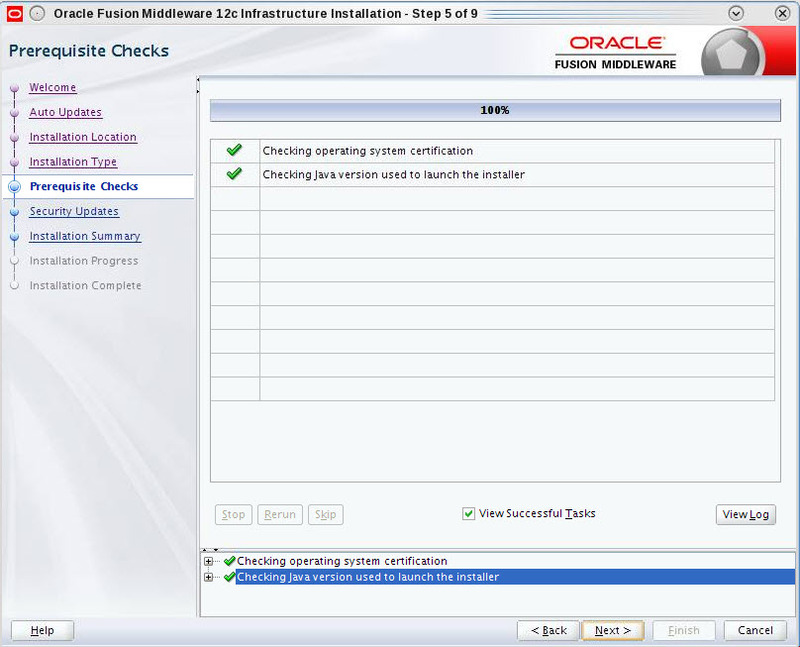 My Linux server has 48 GB Memory with 140GB storage available to perform the installation. 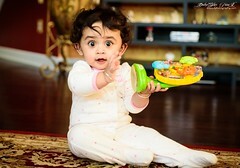 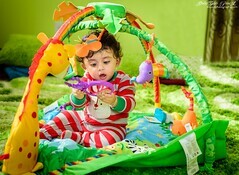 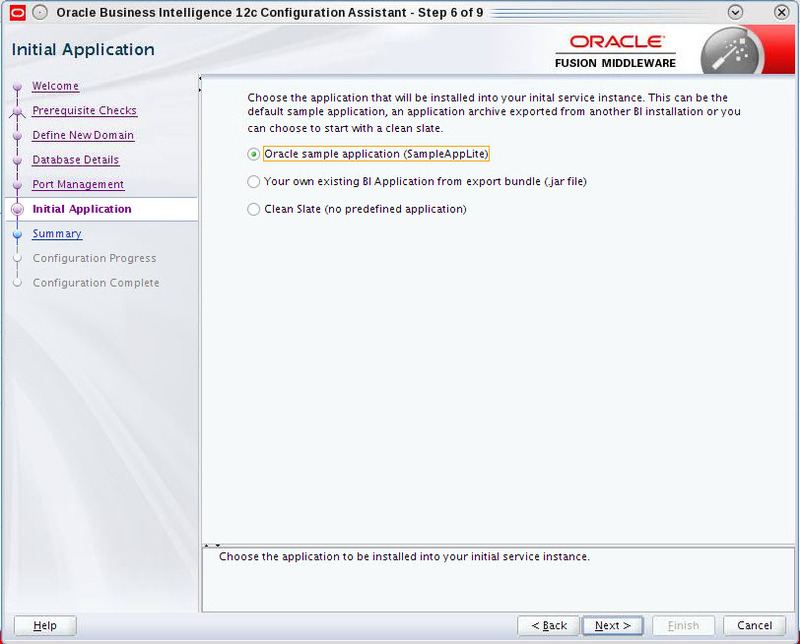 It is the simple java command to Launch the setup. 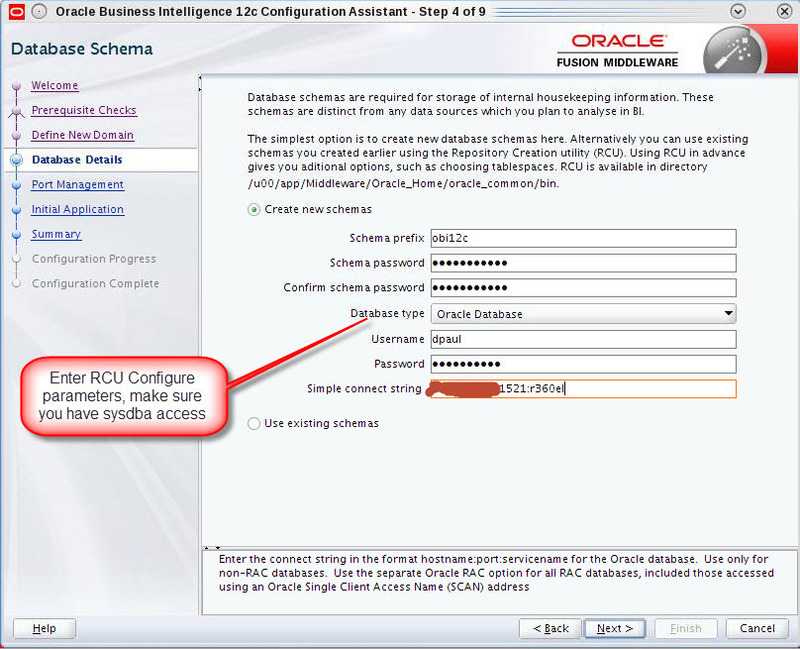 In this step we have to run some config setup file to configure RCU , Middleware domain . 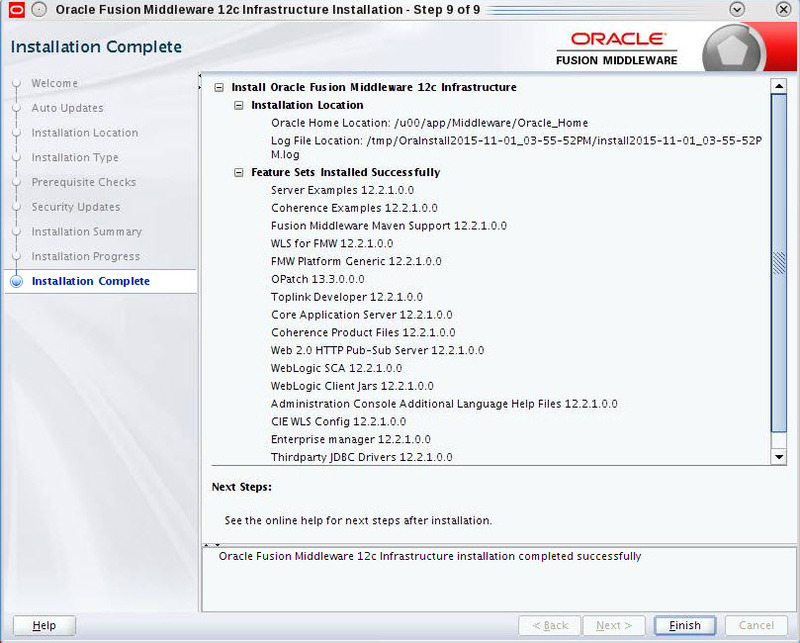 I would prefer to install RCU separately (using ……\Middleware\Oracle_Home\oracle_common\bin\rcu.bat)before you come to this step because RCU creation , DB type validations etc can results several errors which you want to be fixed before Middleware config started. 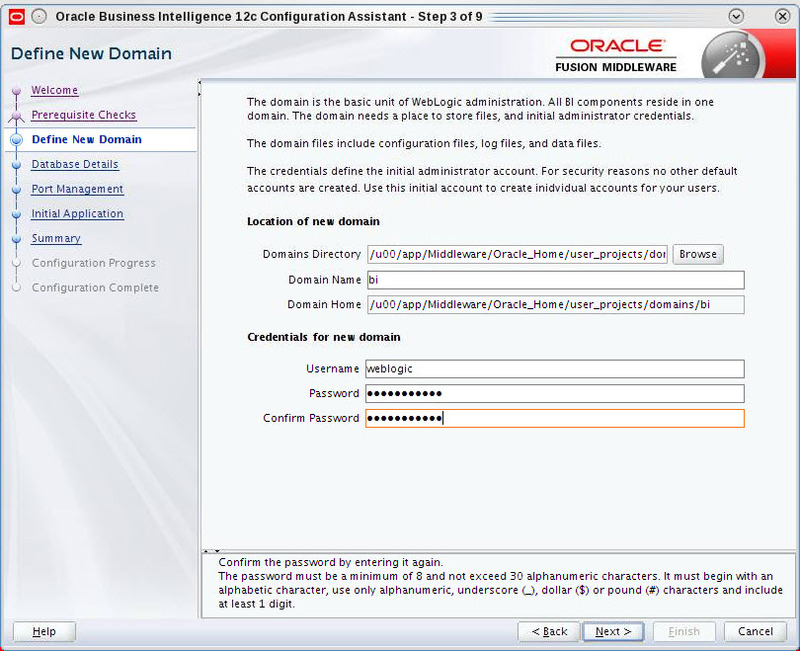 In Below steps if you see error called Domain “bi” already exists then remove the content from below and click Next. 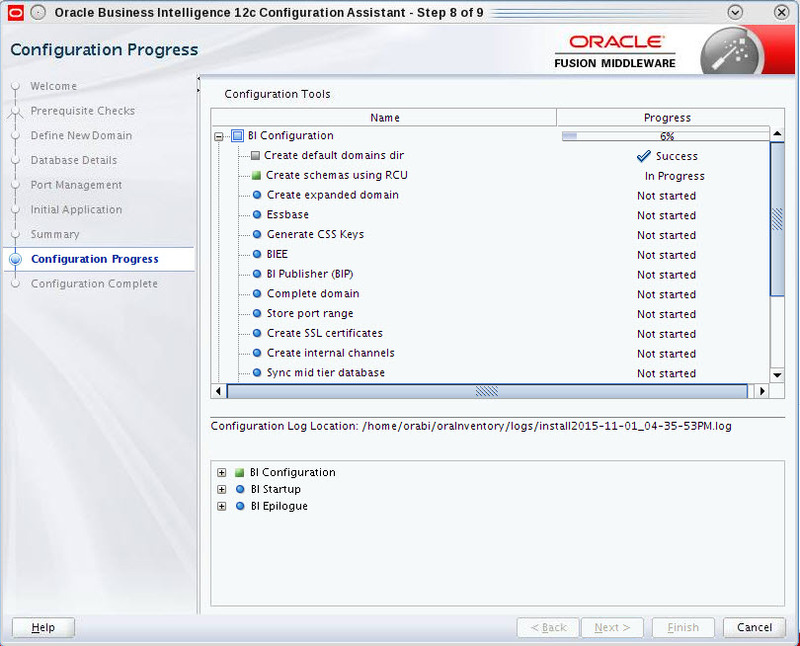 You can experience this issue only if you aborted any previous session of the config steps. 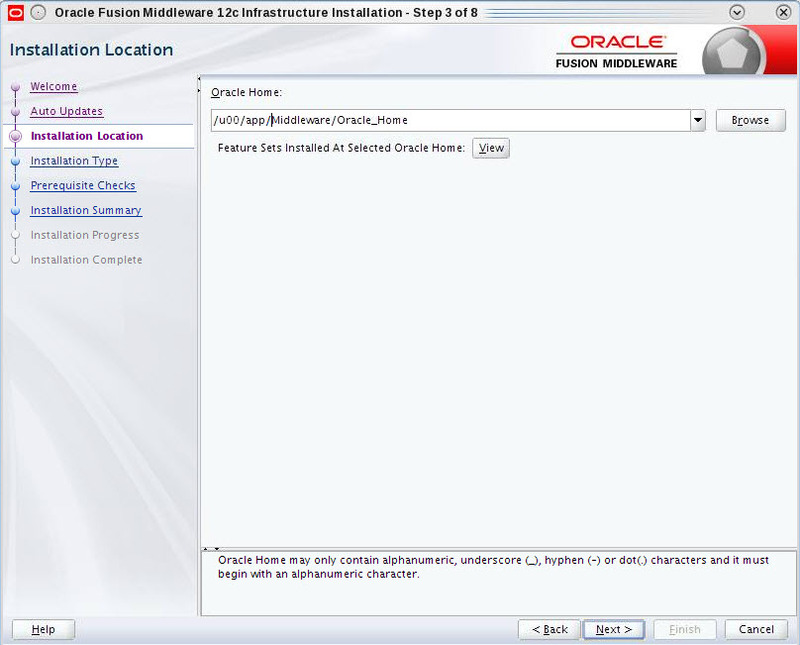 STOP here and check if you have 12c Database or at-least 11g R2 (11.2.0.4.0) installed where you are trying to create RCU. 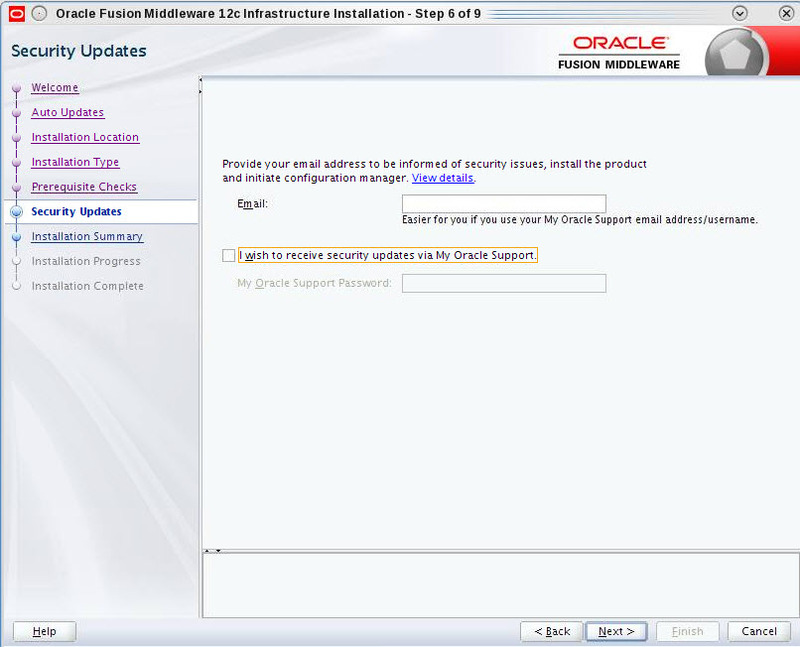 If not then it will throw you error and Installer will abort. 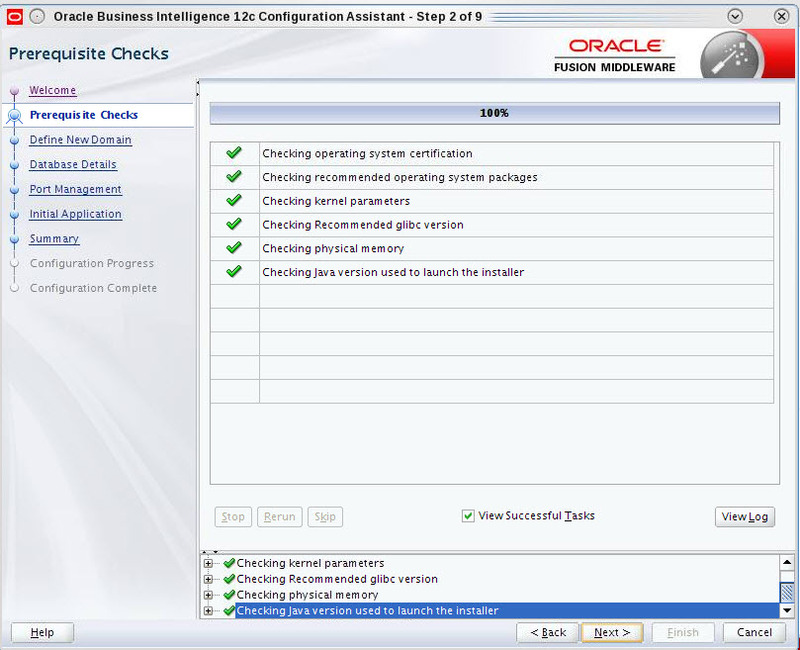 For me it was WE8MSWIN1252 in Oracle Db 12c and I have executed below steps to changed it to acceptable CharacterSet. 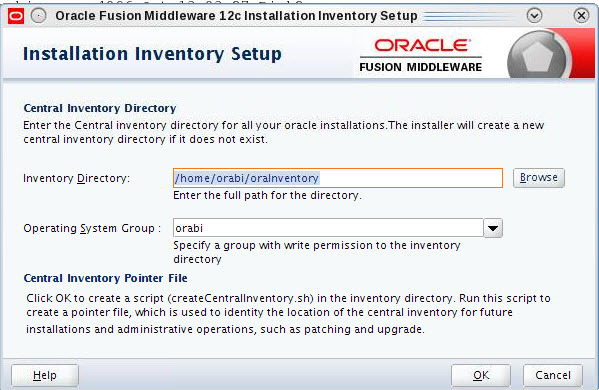 I have resolved that error using below steps: fortunately for me during Oracle Db 12c installation I have clicked option ‘pdborcl’ as Pluggable database. 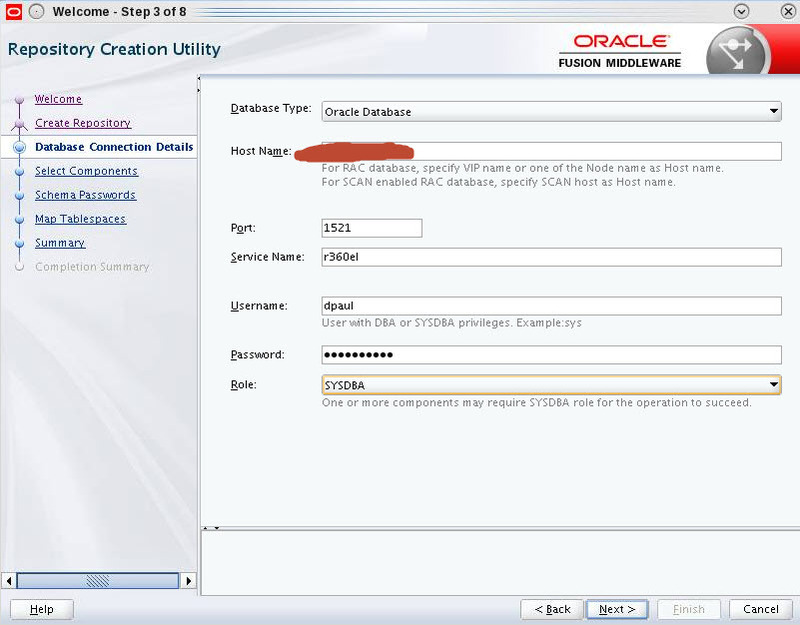 This will prompt a RCU Config steps and you can debug any issue here like SYSDBA privilege, Connect String issue, Port issue, password issue etc etc. 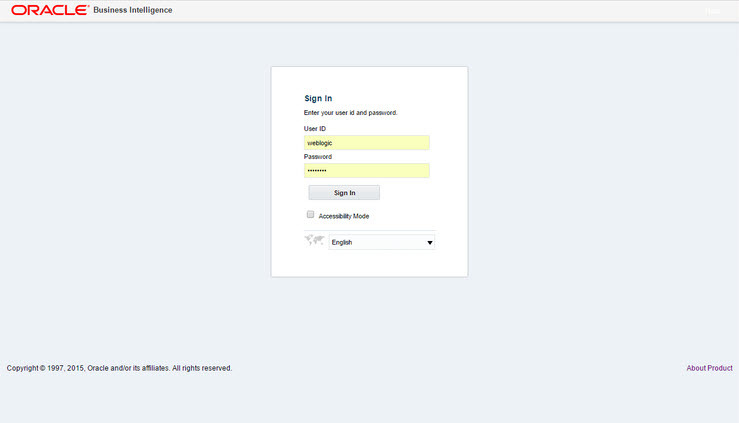 Here is sample screen.